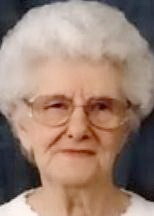 WATERLOO — Mary L. Bisbee, 84, of Bettendorf, formerly of Waterloo, died Friday, March 1, 2913, at Iowa Masonic Health Facilities, Bettendorf. She was born June 28, 1928, in Norwich, Conn., daughter of Francis and Helen Strenkowski Podurgiel. She married Rex Bisbee on March 16, 1946, in Norwich. He died July 27, 2009. Mrs. Bisbee worked for Travelers Insurance and then retired from Heritage National Health Plan, formerly John Deere Health Care, in 1988. She was a member at St. Andrews Presbyterian Church. She received the Volunteer of the Year Award from Waterloo Comunity Schools for helping students read at Lincoln School. Survived by two daughters, Becky (Roger) Thompson of Waterloo and Mari Lynn (Dale) Thompson of Maple Grove, Minn.; a son, Jeff (Nancy) Bisbee of Bettendorf; eight grandchildren; a great-grandson; and two half-brothers Les and Bob Andrew. Preceded in death by a grandson, Adam; and a half-brother, Frank Podurgiel. Services: 10:30 a.m. Tuesday at St. Andrews Presbyterian Church with burial in Fairview Cemetery. Visitation from 4 to 7 p.m. Monday at Parrott & Wood Chapel of Memories and also an hour before services Tuesday at the church. Memorials may be directed to Iowa Masonic Health Facilities, 2500 Grant St., Bettendorf, IA 52722. The family would like to thank the staff at Iowa Masonic Health Facilities for the wonderful care Mary received. Mary enjoyed camping, playing cards and loved playing games with her children and grandchildren.